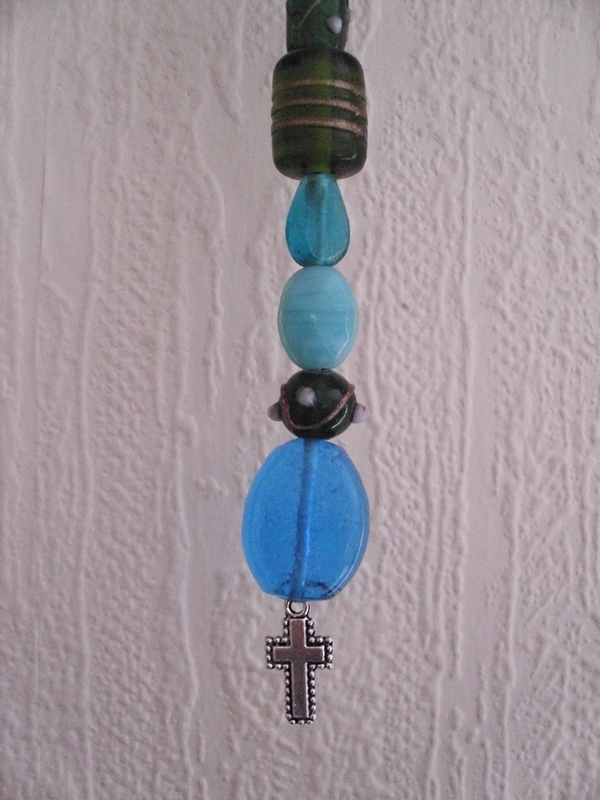 Attractive Spangly Dangler decoration made from real glass beads in blues and greens and a Tibetan silver cross. 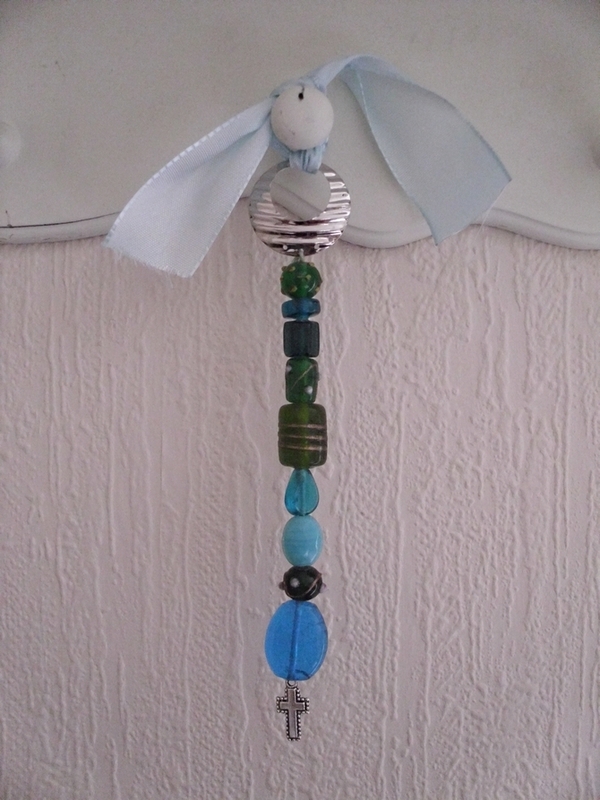 Fastens simply by the pale blue ribbon. 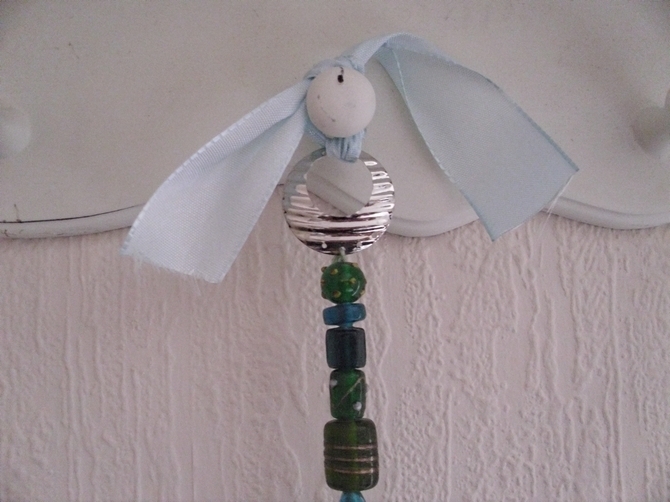 Looks great hung from a window, lampstand or even a peg. Will add a touch of sparkle to any room and is great o show off a litle Christ Appeal. 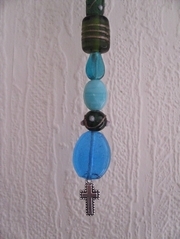 Ideal present as a little Christian gift.